Balasore: ICAR-Central Institute of Brackishwater Aquaculture, Chennai has organized native Indian white shrimp Harvest Mela and Farmer-Scientist Interaction Meet on 4th September 2017 at Sahada, Basta, Balasore, Odisha. ICAR-Central Institute of Brackishwater Aquaculture is a central government premier research institute engaged in research and development on brackishwater aquaculture. Scientists from the Institute are promoting the native species- Indian white shrimp- as an alternative species and part of the diversification for sustainability as envisaged under “Make in India” programme among shrimp farmers in the country through demonstrations and trials. In recent past, shrimp culture in India has shifted to farming of an exotic species Penaeus vannamei introduced from South America after genetic improvement and almost replaced our native species, Penaeus monodon, tiger shrimp largely due to the outbreak of WSSV during the 90s. In view of the introduction of exotic species and the possibility of prevalence of several diseases, accidental releases of non-native species into natural waters can impact the environment and biodiversity, and a serious risk of transmission of pathogens. It is important to derive a possibility of domesticating wild shrimp species with good culture potential like P. indicus and which are locally available. In this context, domestication and breeding of native shrimp species Indian white shrimp has been initiated. As a part of technology development and demonstration, ICAR-CIBA has taken up Indian white shrimp, Penaeus indicus, having similar growth potential and good consumer preference to vannamei. Under a project funded by the National Fisheries Development Board, Hyderabad, “Upgradation of breeding and culture of Indian White shrimp P. indicus through stock evaluation and culture demonstration” led by Dr. Akshaya Panigrahi, development and dissemination of breeding and culture technology of Indian white shrimp has been carried out. P. indicus although being non-SPF and without any selective breeding, has performed greatly in terms of growth and disease resistance under culture conditions and has similar growth pattern like that of P. vannamei during the first 2-3 months of culture. Presently, Indian white shrimp culture demonstration is being carried out in different coastal states and result is very encouraging with productivity level of 3-6 tons/ ha and good FCR and rate of return. To promote the native species, the team of scientists have taken several measures including farming demonstrations and production trials across the country and genetic characterization of the species, available along the Indian coast, were conducted. Dr. Damodara Rout, hon’ble Minister, AFE, FARD & PE, lauded the achievements of ICAR-CIBA, Chennai in promoting desi shrimp species and told this is really a welcoming step to revive the native shrimp P. indicus. 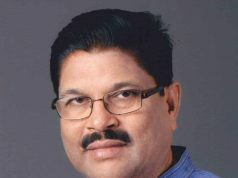 Mr. Rabindra Kumar Jena, MP, Balasore constituency stressed upon the improving the genetic stock of native shrimp P. indicus through genetic improvement programme proposed by ICAR-CIBA scientists, so that the costal aquaculture farmers of the state and country will be benefited and our dependence on exotic breed of shrimp can be reduced. 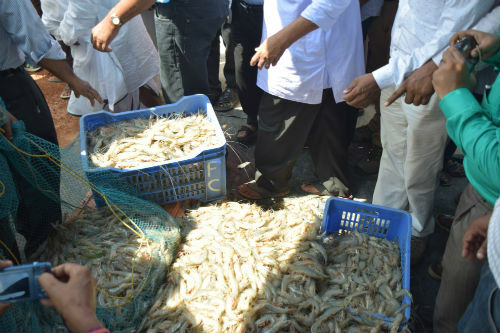 Dr. S.V.Alavandi, Director-In-Charge, HOD, AAHED, ICAR-CIBA said that to realize the tremendous potential of this shrimp, not only as an alternative species but to replace the exotic shrimp and avoid dependence on other countries for broodstock, popularization of the species to the farmers is required. Sub-Collector, Balasore, Dr. S.V.Alavandi, Director in Charge and HOD, AAHED, ICAR- CIBA, Chennai, Dr. A. Panigrahi, Principal Scientist, ICAR-CIBA and Principal Investigator of the project grace the occasion. Among others Mr. Pratap Ranjan Rout, Joint Director (Dept. 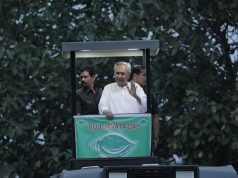 of Fisheries,Odisha), Dr. T.K. 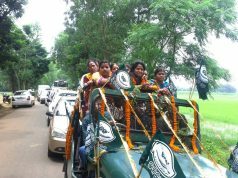 Ghoshal, Principal Scientist and OIC, Kakdwip Research Centre of ICAR-CIBA, along with, Scientist, Dr. Sanjoy Das, Ms. Leesa Priyadarsani, KRC of ICAR-CIBA, Mr. Anjan Dandapat, President, Sahada Fisheries Society, Sujata Rani Dandapat, Sarapancha, Sahada Dharmananda Behera, B.D.O , Basta, Biranchi Narayan Panda, Secretary farmer association,Odisha, Mahadev Das, M.P representative, Laxmidhar Das, chairman, Basta, Sanjay Kumar, Principal scientist, KVK, Siba Narayan Senapati, P.S member, Jagabandhu Bar, Ganapati Das, Ramakrushna Tudu, Mrutyunjay Das, Ramesh ch. Das, Jayanaran Sahu, Gouttam Das attended the function.